Nuke Pro: NC Brunswick Nuclear Plant-- Lost Power -- Isolated -- Flying Food In By Helicopter -- And River is Rising -- No Forecast! 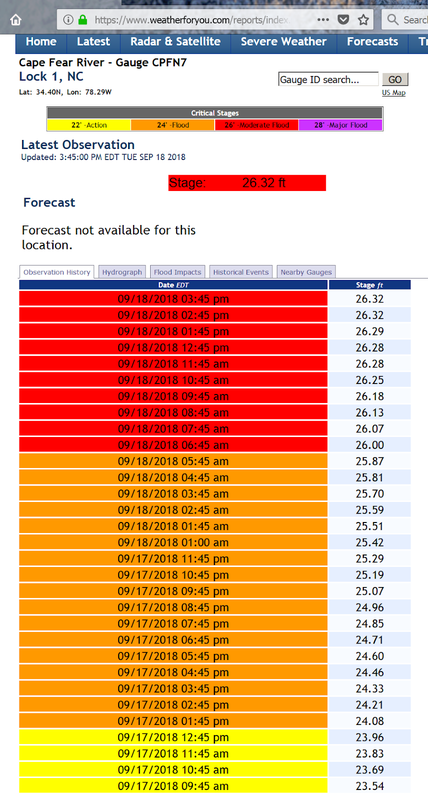 NC Brunswick Nuclear Plant-- Lost Power -- Isolated -- Flying Food In By Helicopter -- And River is Rising -- No Forecast! This looks pretty bad. What if there was a fire? No Fire Truck could respond. They can't even deliver food via a huge four wheel drive truck. They must use a helicopter! The flooding is bad. 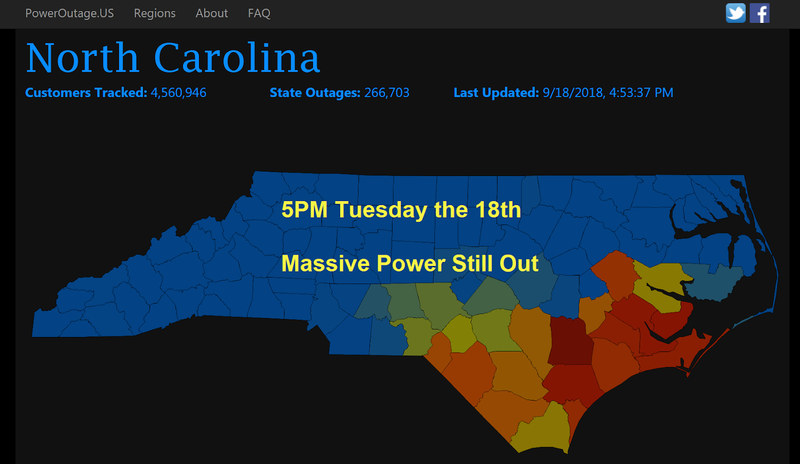 And see image at bottom....still widespread power outage in the whole area. How are they going to deliver enough diesel to keep the generators running? And what if they get pegged with more rain, much less another hurricane? Piss poor preparing and planning!!!! I'll add more when I get more information on the "allowable" flood levels of design basis of the plant.